When Olivia Rawlings—pastry chef extraordinaire for an exclusive Boston dinner club—sets not just her flambéed dessert but the entire building alight, she escapes to the most comforting place she can think of—the idyllic town of Guthrie, Vermont, home of Bag Balm, the country's longest-running contra dance, and her best friend Hannah. But the getaway turns into something more lasting when Margaret Hurley, the cantankerous, sweater-set-wearing owner of the Sugar Maple Inn, offers Livvy a job. Broke and knowing that her days at the club are numbered, Livvy accepts. Livvy moves with her larger-than-life, uberenthusiastic dog, Salty, into a sugarhouse on the inn's property and begins creating her mouthwatering desserts for the residents of Guthrie. She soon uncovers the real reason she has been hired—to help Margaret reclaim the inn's blue ribbon status at the annual county fair apple pie contest. 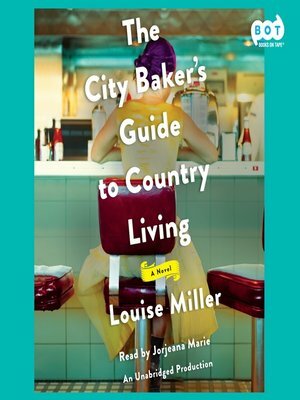 Louise Miller is the author of The City Baker's Guide to Country Living and The Late Bloomers' Club. She is a professional pastry chef who lives, writes and bakes in Boston, MA.